Employee data is one of the most requested data across the organization and systems. The consumer systems are not only limited to Payroll, benefits and time management but also extend to core ERP, CRM, SRM IDM and GRC etc. We always strives to provide the complete HR data to disparate systems via our powerful APIs. You can find details of of our existing ODATA APIs here. Apart from core personal and employment information we also have extensive APIs for extracting workflow information. It is already possible to extract the details regarding existing workflows in EC including status and steps using wfRequest and EmpWFRequest entity. It is also possible to take multiple actions on workflow including approval and rejection via existing function imports. where WfRequesID is the workflow request ID which you can also get via WfRequest API. 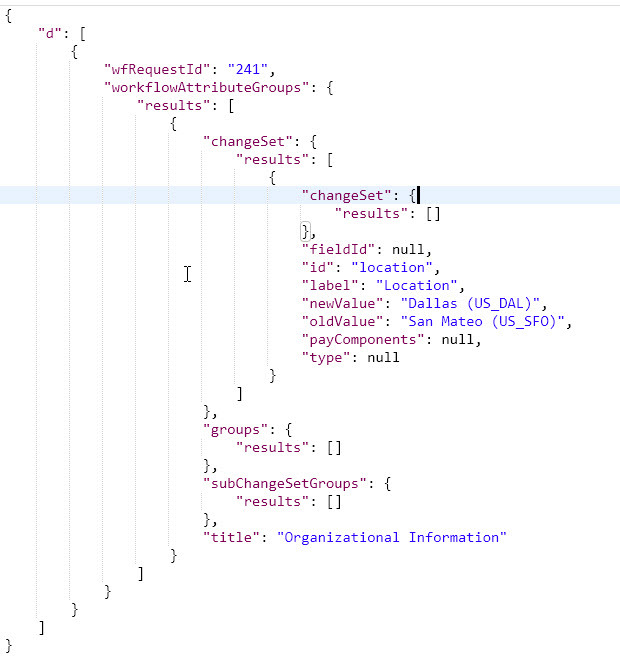 As a pre-requisite you need to turn the provisioning switch “ Enable OData API Public Beta Category“. In case of feedback or question, please feel free to use comment section. Note: Beta API can change incompatibly based on beta feedback from customers and partners. Next Falando sobre o TM … começe por aqui.